James Coleman started his first business at age 6, selling quartz and other rocks to neighbors from a red wagon he pulled. At night, he would canvas construction sites for discarded bottles to deposit. His father, James H. Coleman Sr., was a major home developer in the Austin, Texas, area, creating acre after acre of homes as the state’s capital city boomed. The business gene was passed down to his son. James Jr. found a partner and began developing real estate projects even before finishing up a master’s degree in business administration at the University of Texas. He was a skier, too. Coleman fell in love with skiing on a trip to Cloudcroft, New Mexico, as a high school freshman. A trip to Purgatory the next year confirmed that skiing would be a lifelong passion. 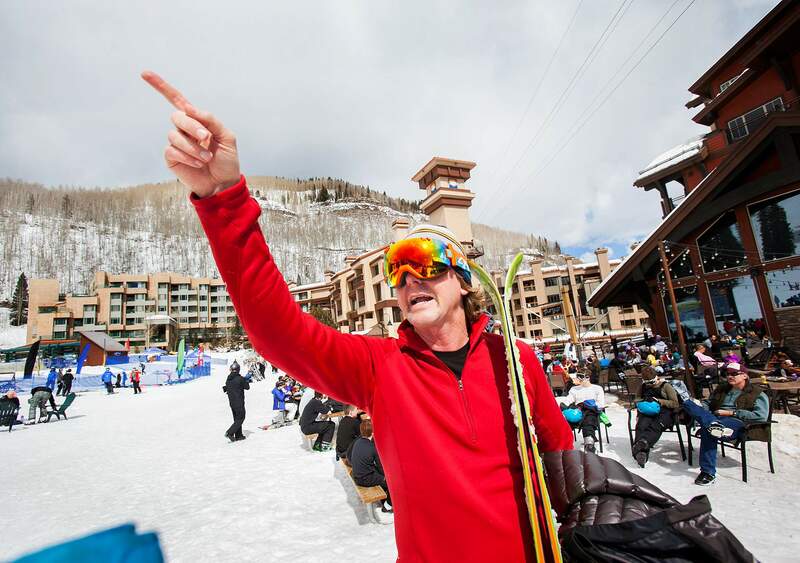 In February, Coleman closed on his purchase of Durango Mountain Resort for an undisclosed sum. He immediately won the appreciation of many locals by renaming it Purgatory Resort. Coleman’s purchase surprised all but a few at Purgatory; he largely was unknown to the Durango business community. Yet, he had owned a New Mexico ski area for 15 years, and he had lived in Durango for 10 years. Coleman, 47, keeps a low public profile. His company, Texas Capital Partners, has a minimalist website that makes no mention of him. “I’ve lived a fairly private life so far,” he said. He consented to an in-person interview after the sale closed. Coleman’s biography is highlighted by a successful business career and a decades-long passion for skiing. In 2000, Coleman led a group of Austin businessmen in buying Sipapu Ski and Summer Resort in northern New Mexico. He moved with his wife and two children to Durango in 2005. Soon after moving here, Coleman introduced himself to Gary Derck, chief executive of Durango Mountain Resort. Coleman let it be known he would be interested in buying the resort when the time was right. That time came in 2014. In February, DMR’s longtime ownership group – Chuck Cobb, Gary Engle, Jim Coyne, John Temple and Vince Duncan Jr. – hired the firm Houlihan Lokey to begin exploring a sale. The sale attracted a number of serious offers. Coleman’s won; he was announced as the buyer in October. The sale closed last month. “I think I had the most compelling overall story,” Coleman said, adding he was unsure if his offer was the highest dollar amount. At the time the sale was announced, Derck said local ownership was important. And Coleman’s persistence didn’t hurt. “He’s always wanted to be involved in Purgatory – he’s been persistent and interested for quite a while,” Derck said. Coleman also moved last year to purchase Arizona Snowbowl near Flagstaff and Pajarito Mountain Ski Area in Los Alamos, New Mexico, giving him a collection of four ski areas in the region. Coleman is a rabid powder hound. Nearly every summer, he flies to Oregon to get in some bump runs on a Mount Hood snowfield that remains open year-round. He’ll find his own tracks, too. Coleman bragged that he once skied in New Mexico backcountry the day after Labor Day. At one point, he skied in 21 consecutive months. He whips down Purgatory runs on a 7-year-old pair of Blizzard powder skis. He has an extra set, just in case. Coleman is married to his wife, Tonia. He has two teenage children, Garrett, a competitive youth freestyle skier; and Makenna. Coleman said he moved to Durango for its quality of life and four distinct seasons. “It is spectacular here,” he said. Since the purchase, Coleman has emphasized the ski experience. To that end, Purgatory has plans in the works for a season pass that will be good at all four ski areas. For New Mexico skiers, that means a pass to their local mountain and access to a destination resort in Purgatory. Durango locals will get a chance to ski trails at relatively unknown places such as Pajarito, which Coleman said has some of the best fall-line skiing in the United States. “I think that’s a huge advantage that no one else in the Southwest really has,” Coleman said. Coleman also wants to roll out a season pass for young adults to bridge the gap between a college pass and full-price adult pass. Details have yet to be released. As Purgatory approaches its 50th anniversary, more trails are a priority. Coleman said he will start evaluating possible routes for new trails this year. Since buying Sipapu, Coleman has doubled skiable terrain there. When Coleman skis, he sees potential for changes and upgrades. While offering deals for locals, Coleman vows not to forsake the tourist packages that pay the bills at Purgatory. Coleman dismissed worries that climate change could make buying a string of ski resorts in the desert Southwest a poor long-term strategy. Climate models predict the Southwest will become hotter and drier in coming years. Coleman has gathered an impressive collection of ski areas in an industry that has undergone a wave of consolidation. Many ski areas are owned by large corporations, not individuals. Still, the industry may be wise not to underestimate a restless Texan. James Coleman, owner of Purgatory Resort, points has had an interest in land development since youth, but he says skiing comes first. 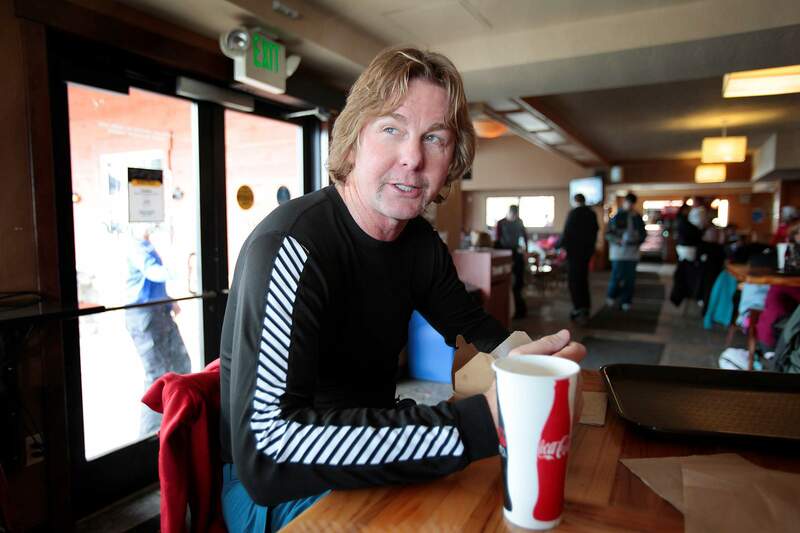 Purgatory’s new owner James Coleman, discusses his plans for the future of the ski area during lunch Monday at Purgy’s. 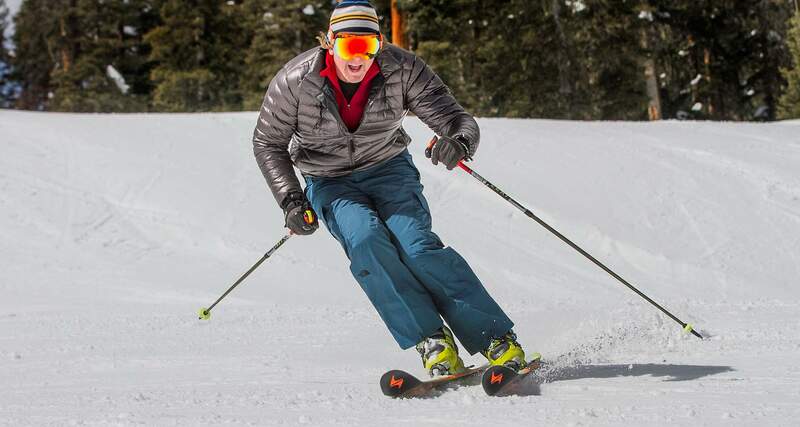 Purgatory Resort’s new owner, James Coleman, cuts turns while making ski runs on the mountain Monday.